The government could pay child support to single parents regardless of whether the other parent pays, under a proposal being considered by a parliamentary inquiry – potentially adding more than $1bn to the budget if the debts are not recovered. 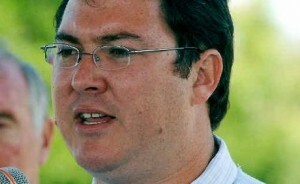 National party MP George Christensen, chair of the committee inquiring into child support which has a public hearing in Brisbane on Tuesday, said the system was raised by a number of single mother advocacy groups and he was not opposed to the idea. “The idea was raised with us and I am not opposed to it, it has its merits but one of the problems we will look into is potentially how much it will cost – but we are not ruling it out,” Christensen said. At the moment, “payers” – who are usually non-custodial parents – pay child support to the department of human services (DHS) and then the DHS pays the “payee” – usually the custodial parent. George Christensen said there were a number of jurisdictions around the world where the government guarantees the child support payment regardless of whether it is received from the payer. It is then up to the government agency to chase down the child support debt from the parent. A submission by the Council of Single Mothers and Their Children (CSMC) estimated Australia’s unpaid child support bill was over $1bn, “yet even this figure does not capture child support that goes unpaid in private collection arrangements and debts waived by child support”. “Calculating unpaid child support from private collect (sic) and waived debts would more than likely triple this figure,” the CSMC submission said. Labor deputy chair Sharon Claydon said while she had concerns that a government guarantee might allow some parents to shirk their payment responsibilities, the advantage of a guarantee would be to “take the emotion” out of the system. “From a taxpayer and public policy maker’s view we really have to ensure the capacity of the commonwealth to be a debt collector,” Claydon said. George Christensen said the other main issue facing the inquiry was “alleged unfairness” in the system, particularly in regard to “payer” parents. George Christensen said a common problem reported in submissions occurs where a child support “payer” had court ordered custody arrangements which are breached by the “payee” moving away, leaving the payer parent unable to see their children. In such cases, when the payer parent can no longer maintain their custody arrangements due to distance, the payee applies for a reassessment of the child support amount and the payer is left with a larger child support payment. George Christensen said parents reported that the department was often aware of a breach of court orders but enforced the reassessment regardless. One of the terms of reference requires the committee to consider how to improve the link between the the Department of Human Services and the Family Court. The inquiry will hold ongoing public inquiries and is not expected to report until the end of the year when Christensen expects it will make recommendations that the government can “pick up and run with”. Sharon Claydon said in her experience, the child support system was “generally working ok” though for families with “entrenched conflict”, there were still significant issues, including around domestic violence and cultural issues for Indigenous families.